I begin to interested in making some illustrations using Adobe Photoshop. Well, not as good as the pros but I guess not bad. At least I learn something new! Alhamdulillah.. By learning this, I can do budget efficiency by no need hiring an illustrator for my projects in the future.. hehehe.. Well maybe small thing, but we have to be grateful for this.. right? Be grateful for every bless that we get is superb! Aaaannnd, I make these illustrations of young women that I think really inspiring.. Diana Rikasari and Dian Pelangi. They are young, active, inspiring, well-known by their achievements, well.. 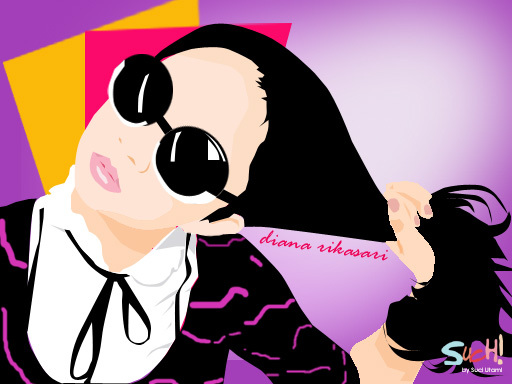 I just adore them, and decided to make illustration of them. 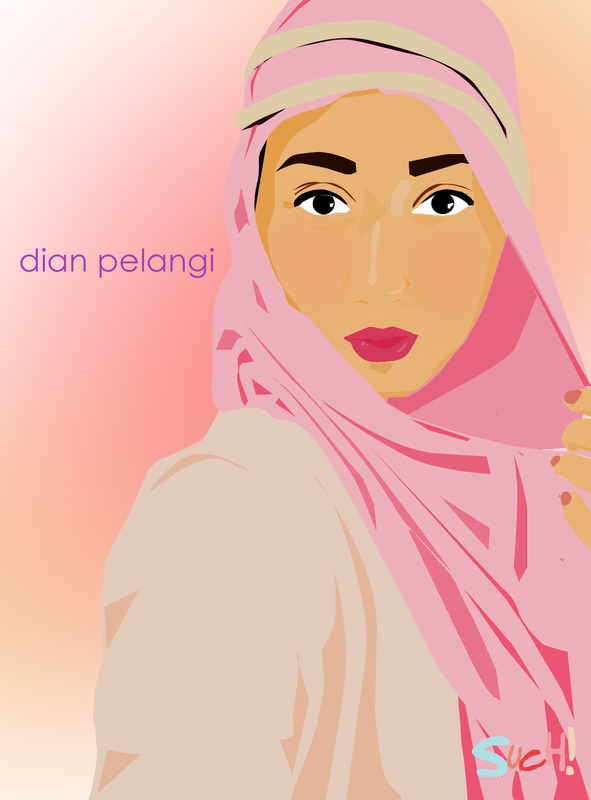 Terima kasihh semuaa.. seneng dehh.. hihihi.. baru belajar.. ini bikinnya pake Adobe Photoshop.. pake pen tool aja.. trus layer by layer.. hihihi..